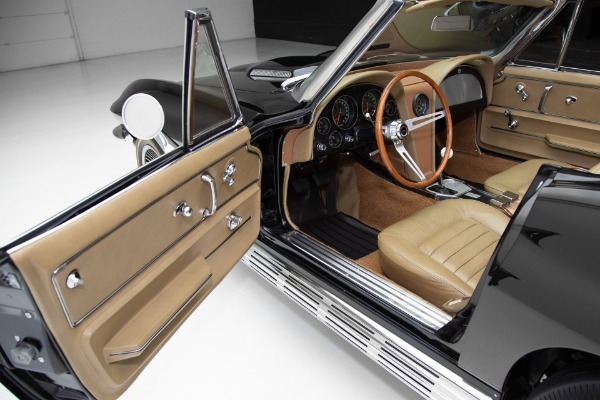 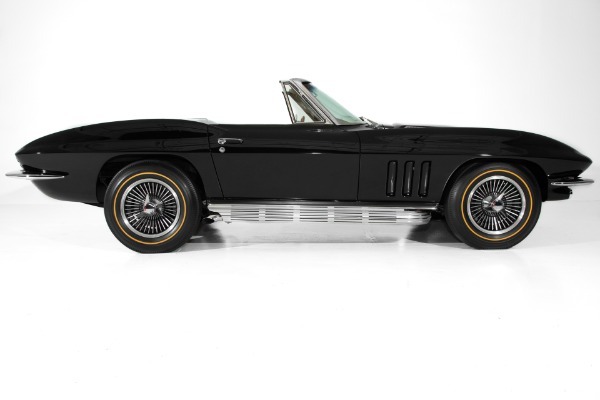 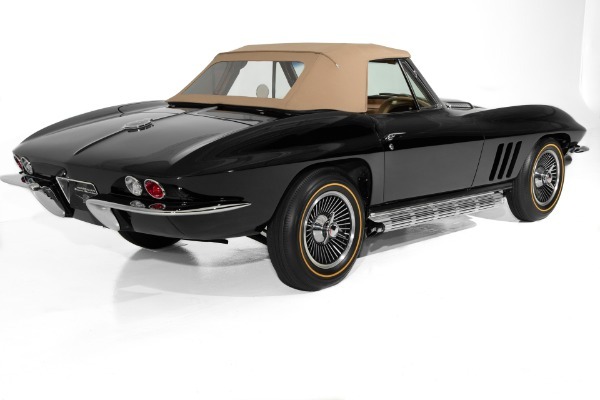 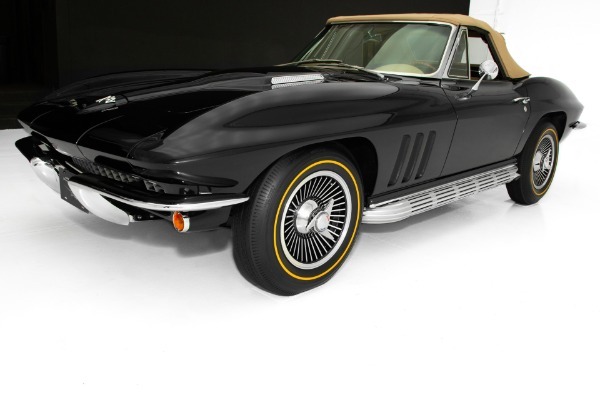 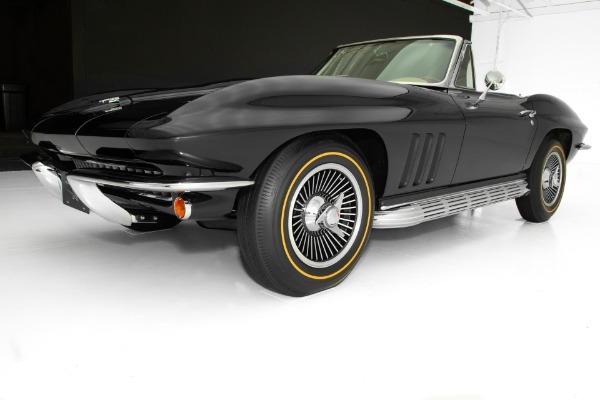 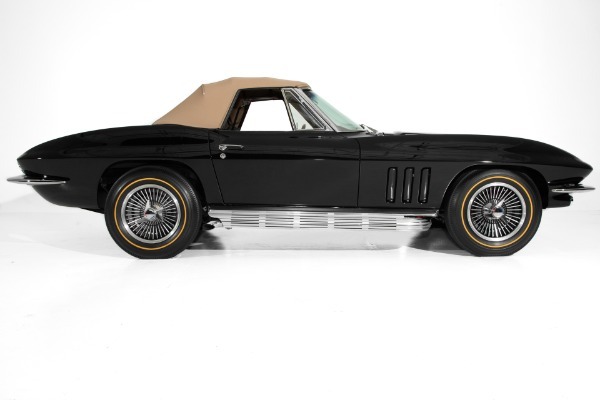 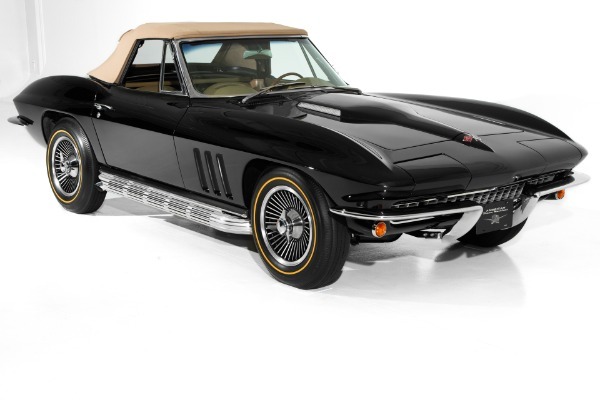 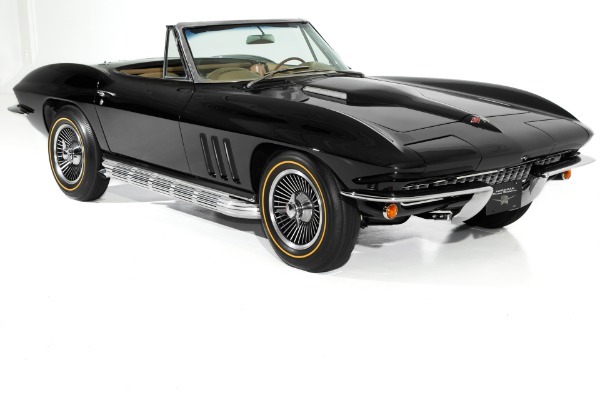 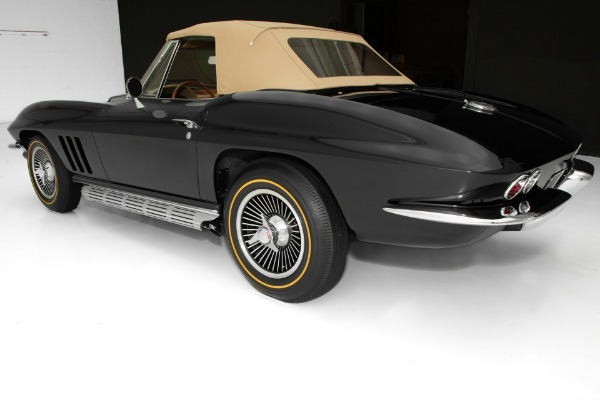 Amazing frame off restored Tuxedo Black 1966 Corvette convertible powered by a ground pounding 427 c.i. 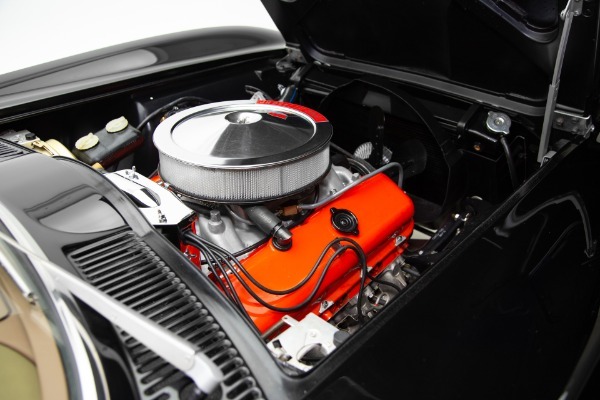 engine with 450 horsepower and a Muncie 4 speed transmission. 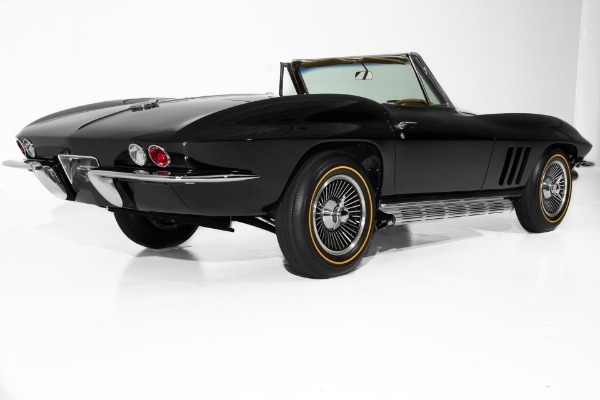 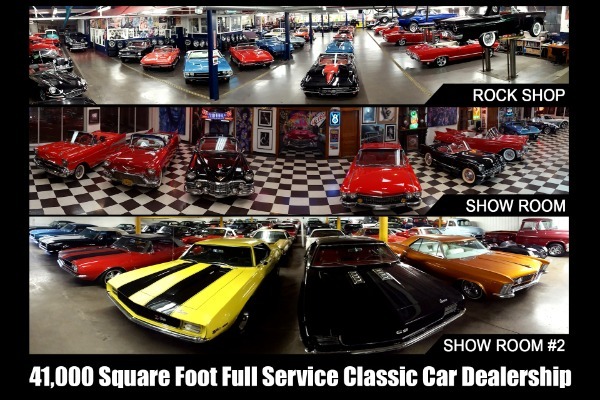 This roadster recieved a very comprehensive, no expense spared, frame off restoration 7 years ago and the slick paint and beautiful chrome still looks like new because of the high level of care this car has been given and driven very sparingly. 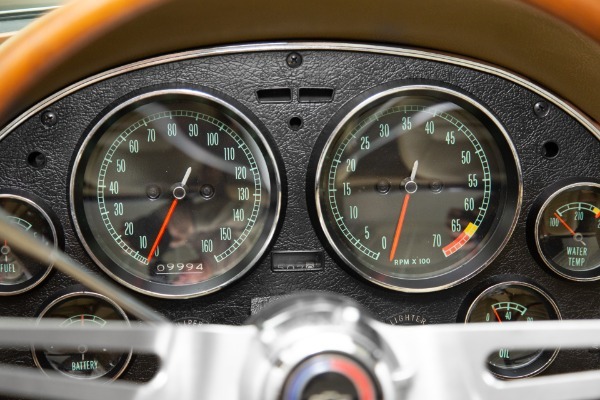 All the correct big block components are present on this rare roadster. 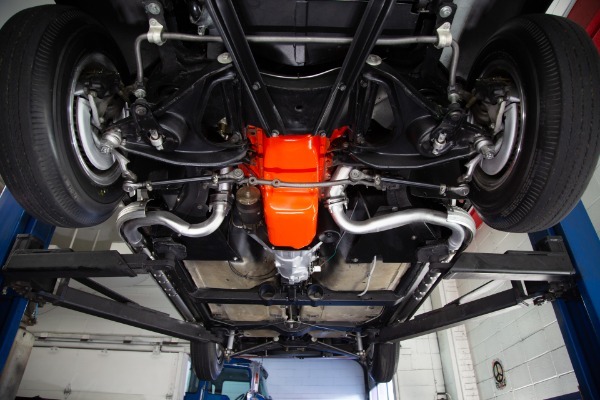 Excellent fit and finish with great gaps and super straight lines on a original body with all bonding strips intact. 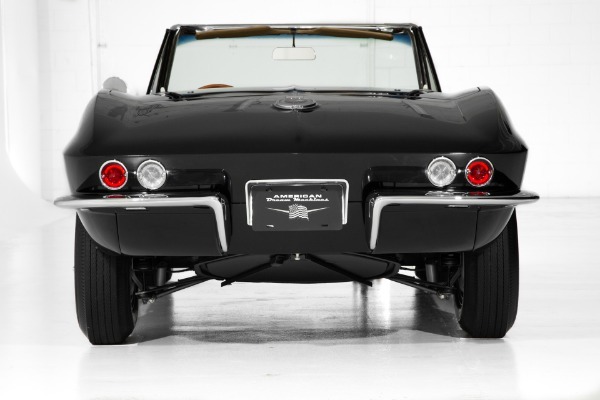 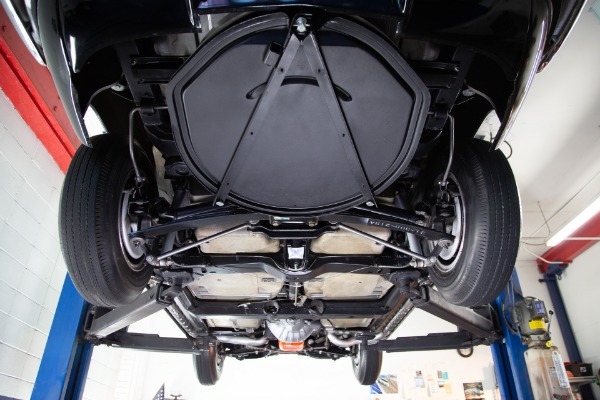 The undercarriage of this Corvette is amazing with virgin floors and great attention to detail. 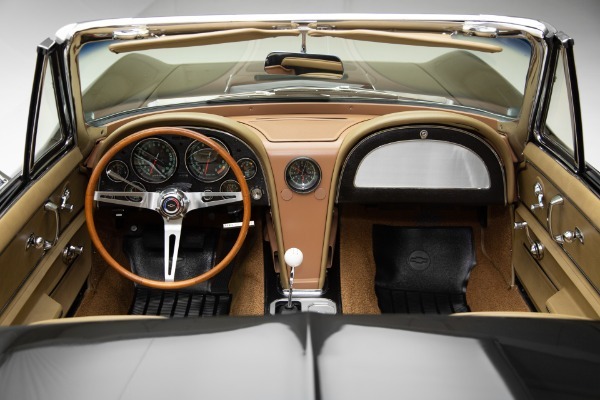 New Al Knoch saddle interior and top along with rare telescopic steering with teak wood wheel. 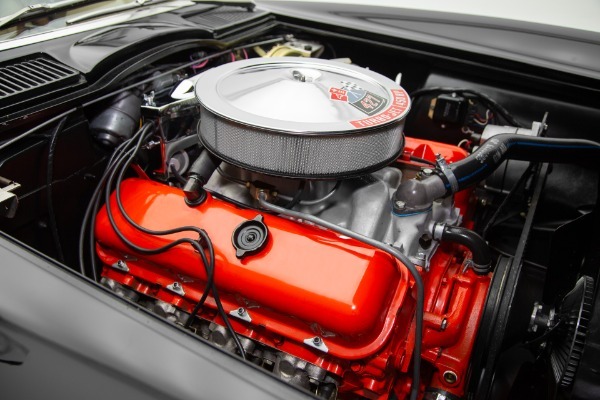 All muscle car with radio and heater delete. 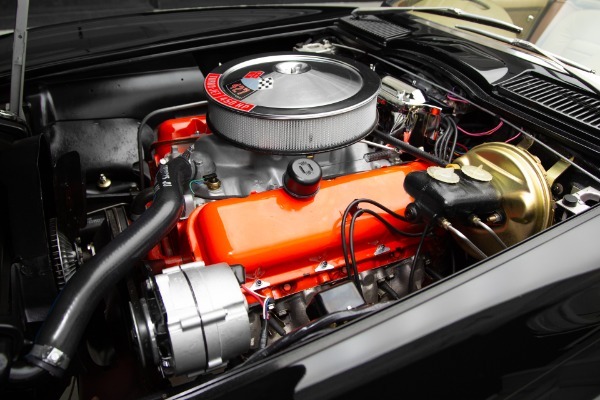 The fire breathing big block has a commanding rumble through the correct side exhaust. 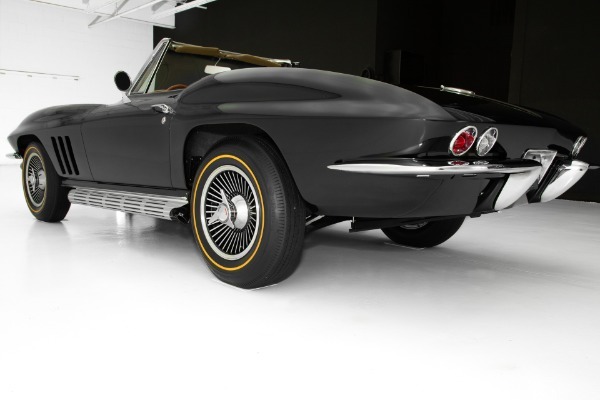 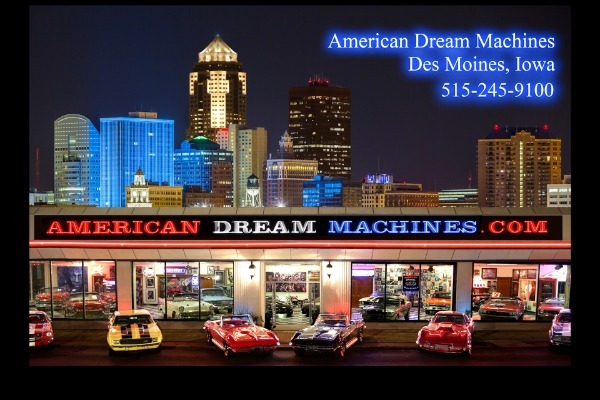 This American Dream Machine is rolling on new knock off wheels with gold line tires for the perfect look. 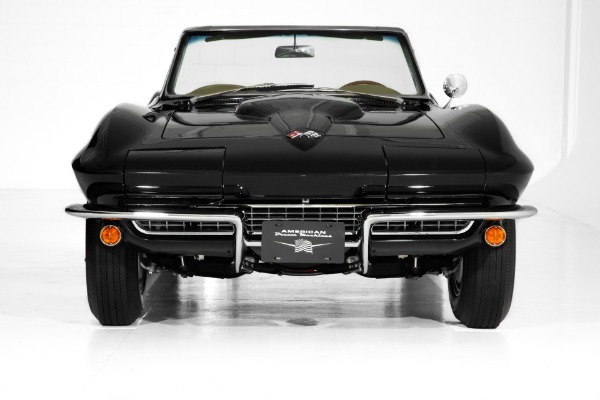 NOTE: This Corvette was inspected and approved by the Indiana DOT and was given an assigned vin because of a theft recovery in the early 90s. 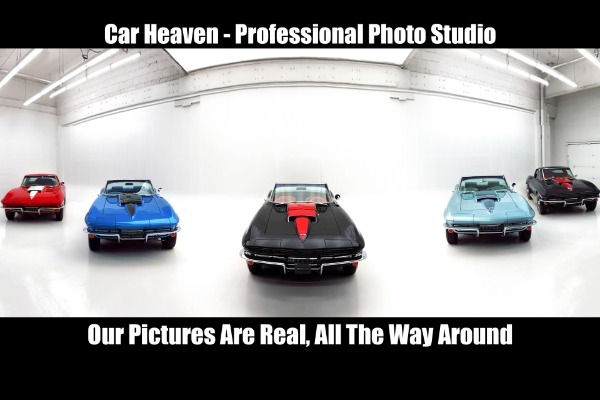 Absolutely clear and transferrable title.